If you are a person that enjoys bleeding a master cylinder, you are a rarity!! 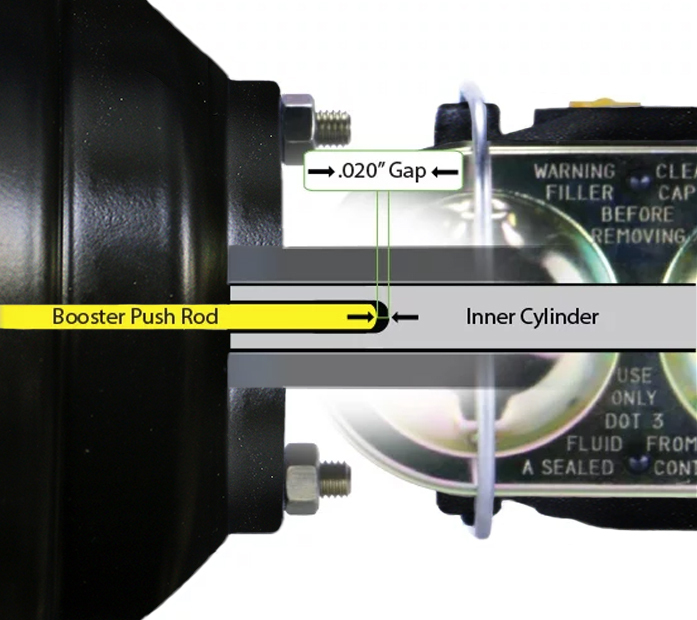 The traditional method of bleeding a master cylinder involves a pair of rubber hoses that have to go from the ports on the master cylinder up and into the reservoir. Invariably, as soon as you start the process, one of the hoses pops out and slings brake fluid all over the shop and that is when you wish there was another way. What does this little white thing do? 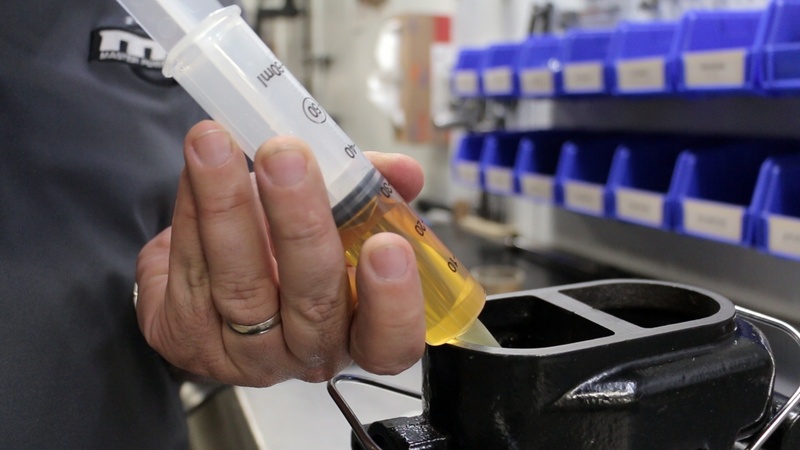 This is a question we hear on a regular basis when a customer is looking through all of the components that are included within the Combination Valve Kit. 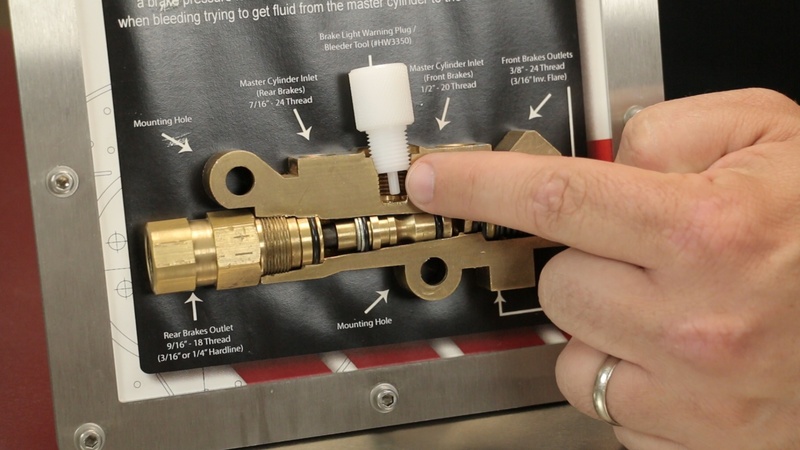 The answer is a Combination Valve Bleeder Tool. The next question generally goes something like “Why do I need this?” Read on a little and we will tell you. Big cams can wreak havoc in a vehicle with a power brake booster. The bigger the cam, the lower the vacuum number. 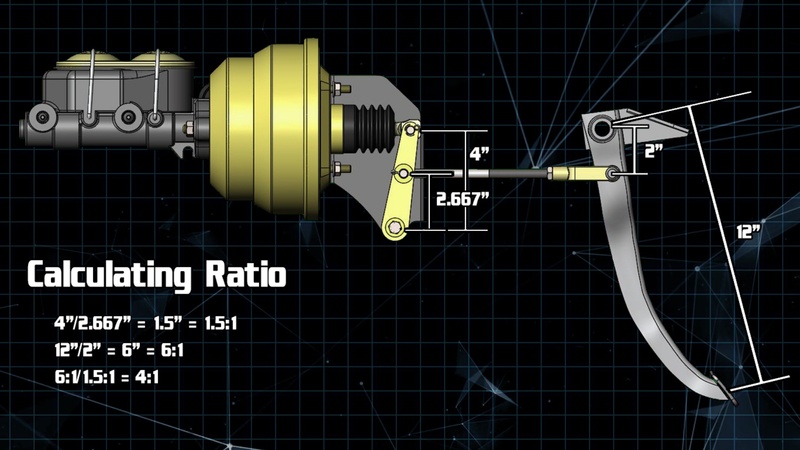 Inherently, the lower the vacuum number the harder the brake pedal is to press. This doesn’t have to be the case. 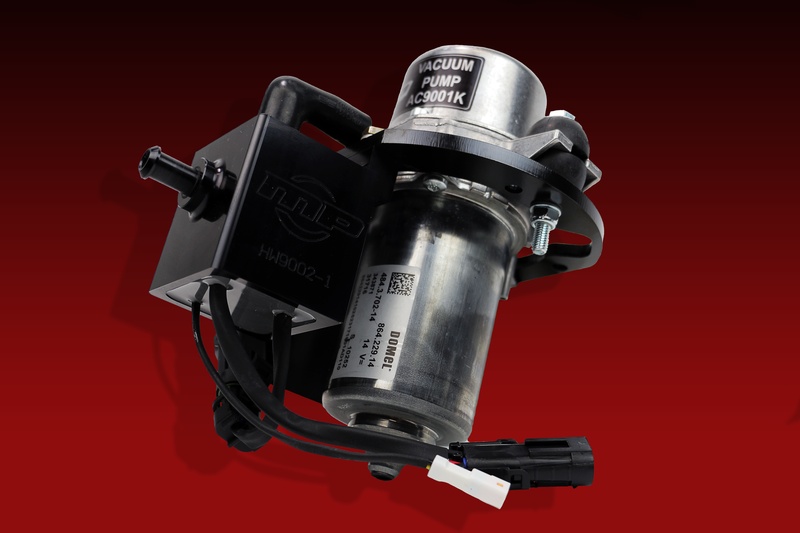 With our Silent Drive Vacuum Pump, you can remove the engine from the equation and use our stand alone pump to provide the vacuum necessary to properly run a vacuum brake booster. The drawback to a vacuum pump has always been the noise. With the use of our OEM quality rotary style motor, noise is a thing of the past. What is a Bellcrank Assembly? How a power brake conversion mounts to the firewall can be more than what you might think. We recently had a customer that wanted to mount his booster directly to the firewall and didn’t understand why he couldn’t do that and why the bracket assembly we use is necessary. We take it for granted but in thinking further about it, we thought we might need to explain. On a lot of our applications, we use a bracket assembly between the booster and the firewall that we commonly refer to as a bellcrank assembly. At first glance, it looks like a simple method of locating the booster on the firewall however there is much more to it than that. A common problem and a question we answer more than we can remember is “Why does my pedal feel soft?” in my power brake system. One of the most overlooked things is probably the simplest fix. Extending out of the booster is a pin. This pin simply extends into the piston in the back of the master cylinder. Have you ever set this distance? If you answered no, not only is this something you must do, it may be the reason for your soft pedal. Have we confused you? Take a look at the picture below and see if this helps.